Our busy third week of session ended on a particularly high note – we recognized the men and women of Washington’s National Guard in both the House and Senate Friday. It’s a very moving experience to meet some of the Guard’s 8400 citizen-soldiers and airmen who do so much for our state. I had the particular honor of giving a speech in support of the House resolution and getting a chance to recognize one of the many heroes who serve in our National Guard, Sgt. 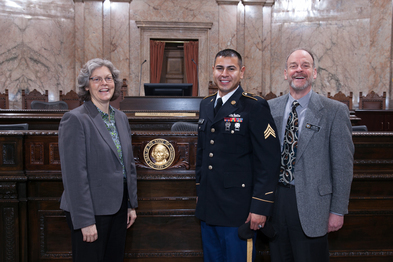 Pablo Monroy, of the 1-303 Cavalry Regiment based out of Puyallup. His story is just one of thousands of dedicated men and women who devote their lives to protecting our community and responding to crises. With approximately 640,000 veteran residents, Washington state has the 12th largest veteran population in the United States. When combined with the over 62,000 active duty military personnel and members of the National Guard and Reserve, veterans and military personnel account for more than 10 percent of Washington’s total population. Did you know that a service member whose active duty orders are signed by the governor has fewer protections than one whose orders are signed by the President? It’s true, it’s irrational and it’s unfair to the men and women who put their lives at risk in defense of our nation and our freedom. Not for long, though! This session, 35 House members from both sides of the aisle have teamed up with Governor Inslee and Attorney General Ferguson to right this wrong. This legislation will ensure our troops can carry out their jobs without having to worry about their cars being repossessed, their homes foreclosed on or their families evicted while they are making great personal sacrifices for our nation. Ensuring all military personnel can enforce their rights under the SCRA. Making SCRA protections equal to those provided in federal law. Authorizing the Attorney General to investigate SCRA violations. Ensuring employment and reemployment protections are in place. HB 2171 was passed unanimously by the Judiciary committee and will receive a public hearing in the House Appropriations Subcommittee on General Government & Information Technology on February 6. As we continue working to address the broad, structural concerns around the funding of our K-12 education system, I am working to tackle a specific issue in our community: how to better serve our homeless youth. The issue of how to help children who don’t have a home is an important one. Unfortunately, right now there is very little information on the homeless youth aged 0-10 in our state. We don’t know which communities they call home, or how long they typically spend without a permanent dwelling. This is information that we need in order to develop policies and programs to address the problem. 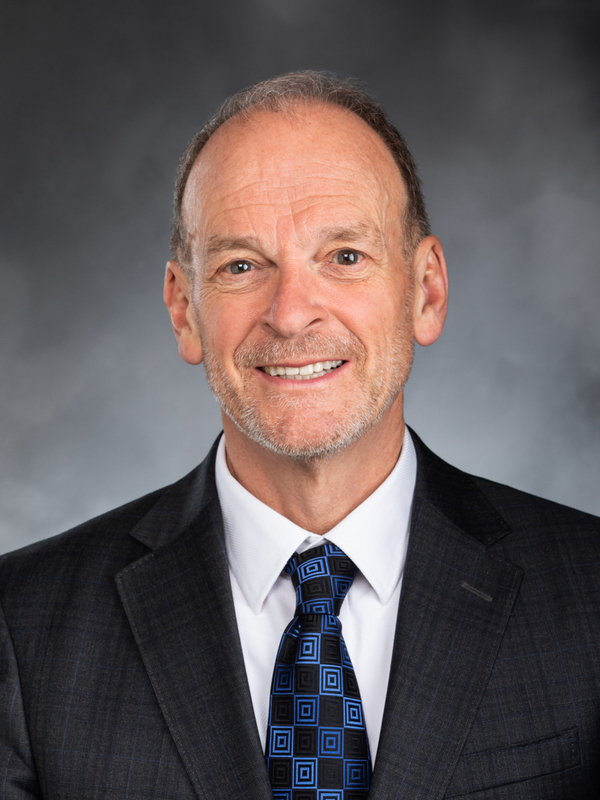 That is why I am sponsoring House Bill 2610, which direct the Washington State Institute for Public Policy to collect and report on the data that policymakers need. Hungry kids can’t learn. Sick kids can’t learn. And a child who is worried about where they are going to sleep the next night is not going to be able to dedicate the time and energy necessary to find success in academics or life. This legislation is the beginning of an important conversation that the legislature must have in order to address a small but significant issue facing our next generation. While other states are passing bills that suppress voter turnout, the House this week passed four crucial bills aimed at turning “one person-one vote” into a reality for every Washingtonian. House Bill 1267 changes the deadline for in-person and online voter-registration to 11 days before an election, and registrations sent by mail to 28 days before an election. Proponents believe moving the deadline up closer to the actual election will increase voter-turnout. House Bill 1103, requires the secretary of state to work with county auditors in developing a uniform ballot format for use in each of the state’s counties by 2022. Right now, only 10 of the 39 Washington counties have voting systems that require the voter to mark the ballot by filling in an oval. House Bill 1279, would allow 16- and 17-year-olds to preregister to vote when they apply for a driver’s license or identicard. Voter-registration information is already available at the Department of Licensing, and using it would make the registration process far more efficient. It’s very important to engage young people in the elections process as soon as possible. House Bill 1413, which is commonly known as the Voting Rights Act. The bill emphasizes equal voting opportunity in political subdivisions where communities of color have historically been disenfranchised. Citizens in every neighborhood should have the very same voice as any other neighborhood in their local elections. This measure prohibits the drawing of election districts in a manner that prevents members of a race, color, or language-group from electing candidates of their choice or exercising influence in an election. Each of these measures also won House support in last year’s legislative session, only to die in the Senate. But I am hopeful they will find support in the other chamber this year. Want help keeping track of your legislature? While I try to keep you updated on some of the major issues we are working on in Olympia, you may want to keep track of other bills, too. Here are some quick shortcuts to finding out what you want to know. To simply check on a bill, go to the main bill information site. You can find legislation by bill number, prime sponsor (the lawmaker who introduced the bill) or by topic. Now, if you want to get all advanced and show off your techno-political skills, there are ways to automatically track whichever bills you care about – House or Senate. Just create a free account on the bill tracker and it will let you do all kinds of complicated and impressive things. To look at all bills introduced in the House, click here. Want to know what’s already passed the House? Wonder what lawmakers are debating on the House floor? Check the Floor Activity Report. You can look at all bills introduced in the Senate, dead or alive, and get a peek at every bill that has passed the Senate. To see what senators are debating on any given day, use the Senate’s version of the Floor Activity Report. And to see video, or hear audio, of any legislative meeting or floor debate, go to www.tvw.org.